Susan Andreovna Ivanova was born in St. Petersburg in the Russian Consortium in 2347, the daughter of Sofie and Andrei Ivanov, and the younger sister of Ganya Ivanov. When she was younger, her father called her "dushenka moya," Russian for "my little soul." Susan's family was Jewish, and she was brought up in the faith, including having a bat mitzvah. One of her father's closest friends was Rabbi Koslov, and Susan grew up calling him Uncle Yossel. Koslov would remain close to Susan throughout her life. When Susan was thirteen, she developed a passion for Kasherov, a radical Neo-Communist author whom her father felt would be "personally responsible for the death of Russian culture." When Andrei was invited to one of Kasherov's readings, Susan whined and pouted until he agreed to take her to it. Susan prepared for days a question she thought was sure to impress her idol—only to have Kasherov tell her it was the most foolish thing he had ever heard and refused to "bandy words with a bourgeois twit barely out of diapers." Susan was crushed, but then her father stood up and rebuked Kasherov and his writings, commenting that if he were not a pacifist he would horsewhip him through the streets of St. Petersburg as he deserved. When they left, Andrei told Susan he thought she had asked an excellent question. Ivanova was educated away from Russia; her father wanted her to have certain advantages the rest of the family did not. At the age of eighteen Susan left Russia to attend Starfleet Academy electing to major in the sciences. Her assignment was the USS Repulse. 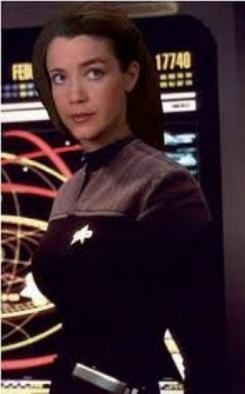 It only took her 6 months to become the gamma shift science officer on the vessel. In 2372, she was promoted and seven months later she was transferred to the Babylon where she became the Assistant Chief Science Officer. Three years after that she was named the Chief Science Officer where her predecessor became the First Officer. In 2379, she applied for the Chief Science Officer position on the Odyssey wanting a change of pace and to serve on a bigger ship that would have more meaningful scientific missions.